Manatees are large, gentle, animals. They are aquatic, which means they live in the water. Manatees spend most of their time traveling, eating, and resting. 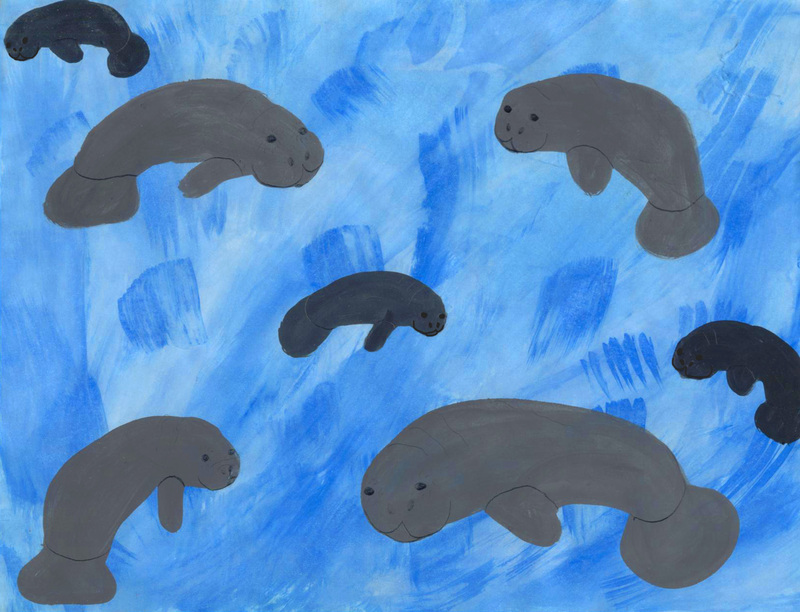 Manatees are gray and have wrinkly faces and bodies. They have two flippers and a paddle-shaped tail. Manatees have whiskers on their faces and between three and four toenails on each flipper. In the wild, Florida manatees can live up to 60 years. There are three species of manatees – the West African manatee, the Amazonian manatee, and the West Indian Manatee. A long time ago, there was a species of manatee called Steller’s sea cow, which sadly went extinct in 1786 because too many people hunted them.